after it was revealed in October that top boss and executive director Mike Connaghan would be departing. “At the end of last year I spoke to Leigh Terry (CEO, IPG Mediabrands APAC) about my plans for the future," Bass said. “Leigh was totally understanding and we both agreed that I’d leave Mediabrands in the coming months." It remains to be seen who takes over from Bass. From James Warburton, David Roddick,Tony Kendall and Joe Pollard, to John Sintras, Mike Tyquin, Andy Lark, Mike Connaghan and Guy Dobson, there are many senior adland execs still without new roles after exits in 2018 and early this year. “These past three years have been a career experience that has far exceeded my expectations from when I took on the role at the end of 2015,” Bass said. 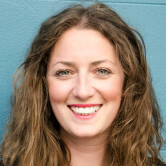 Bass joined Mediabrands in 2015. In a shock move at the time, GroupM’s heir apparent to John Steedman, Bass appeared to have turned down the Australian CEO role at WPP's media buying giant to become CEO of IPG Mediabrands in Australia. Bass instead defected, and took over from IPG Mediabrands global CEO and executive chairman of Australia, Henry Tajer. Bass says there’s been massive structural and skills innovation, balanced with a clear pragmatism about what clients expect from their media agency partner - and that he is proud of where the business is at this point. Wins at the agencies Bass oversees were clocked up last year with UM scoops including the $150 million master media account for the Australian Government, as well as Nestlé ($50m), AGL ($23m) and American Express. In the past three years the group has attracted national clients including Tourism Australia, Lion, Government of New South Wales, Optus, Western Australian Government and AGL. Under Bass’ tenure Mediabrands Australia has grown in people count from 450 to nearly 700. Speaking to AdNews as part of our deep-dive on diversity, and oura nnual parental leave benchmarking survey, Bass said the industry must do more in the diversity and people stakes. See: Danny Bass on why 'change starts with CEO'. Bass says the Mediabrands achievements he is most proud of are the strides forward on people initiatives like gender balance, salary parity, maternity leave, diversity and equality. "I am also a strong advocate for people’s choice in their work and personal lives, so at this stage I am following my own advice and taking a break," he says. Bass will remain in the Mediabrands business until approaching mid-year, working on a comprehensive transition with Leigh Terry, CEO IPG Mediabrands APAC. On Bass’ departure and until a new CEO is announced, Mediabrands Australia will report to Leigh Terry, who is based in Sydney. “Danny’s credentials as Australia CEO speak for themselves," Terry says. "We have discussed at length his decision, we fully support him and obviously wish him the very best of fortune in his time off and future career steps. "Across all our businesses, Mediabrands Australia has world-class leadership and the highest standards of talent. Our clients and future progress is in solid hands, and I am looking forward to helping lead and support the group in the foreseeable future." IPG Mediabrands Australia CEO Danny Bass has resigned from the business after three years. 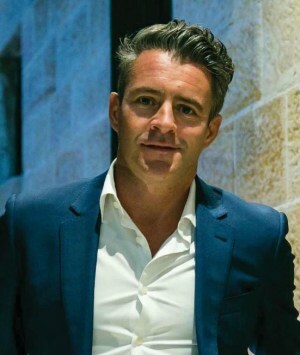 AdNews understands he will not be taking the current vacant WPP role. The role became up for grabs at the end of last year after it was revealed in October that top boss and executive director Mike Connaghan would be departing.